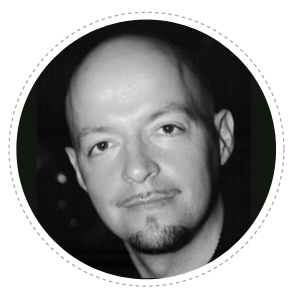 Sean has been involved in oriental clinical practices for over 20 years. His related skills and experience extend across a vast range of areas. A qualified master practitioner and tutor of Amatsu – trained under Dennis Bartram. Sean holds qualifications in Shiatsu, Aromatherapy, various massage techniques and is a Reiki master. In addition, Sean is a fully qualified Personal Trainer, Fitness Instructor, Team Coach, Expert in Martial arts and has lectured on multiple courses qualifying individuals in a range of health and fitness arenas. Sean holds seminars in Health & Life Management, Nutrition Management, Movement, Posture & Alignment and regularly features as a guest speaker and consultant expert on related topics in the media arena. Due to Sean’s extensive career in the Health, lifestyle, fitness and wellness arena his ability to relate to students and portray the subject matter is second to none. Boosted with a practitioner license in Neuro Linguistic Programming, modular studies in Psychology and behavioral science, Sean brings a wealth of knowledge and experience to his presentation which leaves the student feeling informed and catered for. Sean is the owner operator of Daghda Ireland and hosts a clinic in Dublin 12 adjacent to Loreto Collage. Sean’s extensive client lists extend from the lady, gentleman & child who require assistance in their recovery from an ailment or condition to Ireland’s A list celebrities and sports stars. 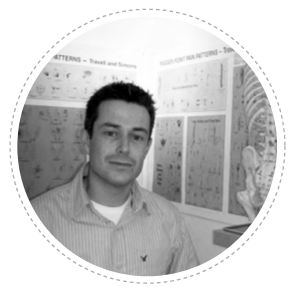 Sean has performed as injury consultant for several Dublin GAA club teams including the Dublin County Hurling Team, Club basketball, cycling teams, martial art clubs, etc. and welcomes new associations and groups to amatsu all the time. Sean believes that Amatsu is a way of thinking, behaving, living and in particular moving. He delights in sharing his insights with both clients and prospective Amatsu Practitioners. David has taught beside Dennis Bartram (Principal Teacher and Researcher of Amatsu in the world) for four academic years now and has benefitted extensively in relation to his own teaching practices. David’s strength as a teacher is his ability to digest technical information and to break it down through clear bite size explanation. David is patient and non-judgemental & will give time to all students as they need throughout the course. He is an expert in muscle testing (Applied Kinesology) and all techniques of Amatsu through his knowledge, expertise, qualifications in a verity of fields. David is also qualified as a Fitness Instructor, Personal Trainer, Exercise and Fitness Coach, Massage & Sports Massage, Sports Therapy, N.L.P practitioner, Sports Nutrition, Reiki & Train The Trainer, as well as partaking in many additional workshops throughout the years, such as Feldenkrais, Advanced Massage techniques, Trigger Point Therapy, Muscle Energy Techniques and Fitness for Golf.